(by Jack Torry, Dayton Daily News, Washington Bureau) — The U.S. Supreme Court in June upheld an Ohio election law that allows officials to remove voters from the rolls if they have not either voted in six years or responded to notices from election officials. The justices overruled a 2016 decision by a three-judge panel of the 6th U.S. Circuit Court of Appeals. In that decision, the court sided with the plaintiffs who argued that Ohio’s system violated federal law by discriminating against low-income voters. Federal law allows states to rely on change-of-address forms that citizens file with the U.S. Postal Service as evidence that a voter has changed residence. Ohio, like most states, relies on such reports as a principal method to keep rolls current. But because some 40% of people who move don’t alert the Postal Service, Ohio uses its “supplemental process” as a backstop for residence changes. Justice Alito observed that the Ohio supplemental process doesn’t simply delete voters who fail to vote for a specified period, a process that Congress specifically outlawed. Instead, such a failure to vote for 2 years triggers the state’s effort to confirm that the citizen hasn’t moved, offering him or her the chance to ensure their continued registration by returning a pre-paid postcard – or voting in a coming election over the next 4 years. 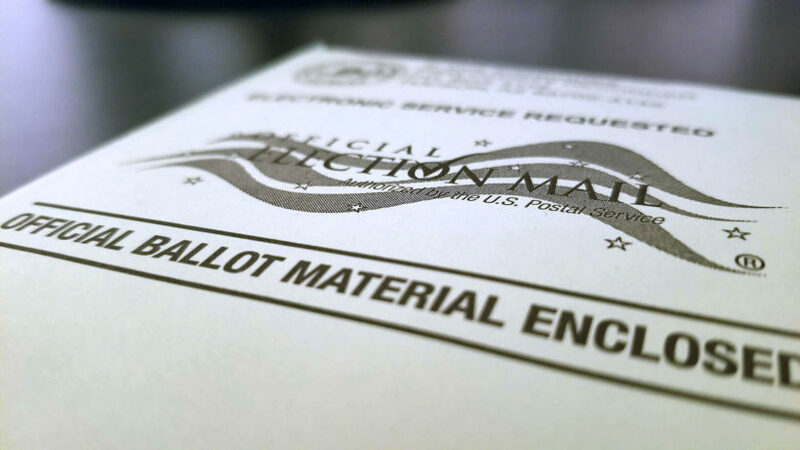 “The notice in question here warns recipients that unless they take the simple and easy step of mailing back the preaddressed, postage prepaid card — or take the equally easy step of updating their information online—their names may be removed from the voting rolls if they do not vote during the next four years,” Alito wrote. Joining Alito to form the majority were Chief Justice John Roberts, and Justices Clarence Thomas, Neil Gorsuch, and Anthony Kennedy. Justices Stephen Breyer, Elena Kagan, Sonia Sotomayor, and Ruth Bader Ginsburg dissented. This assertion prompted a response from Alito who wrote that Sotomayor’s dissent “says nothing about what is relevant in this case – namely the language of the” 1993 federal law. He described as “misconceived” her assertion that minority and low-income voters would be disenfranchised. “It is undisputed that Ohio does not remove a registrant on change-of-residence grounds unless the registrant is sent and fails to mail back a return card and then fails to vote for an additional four years,” Alito wrote. The procedure has been the same for years, under both GOP and Democratic secretaries of state. The case came about when Ohio resident Larry Harmon challenged the process arguing that he was removed from the rolls even though he had not moved, but rather had opted not to vote in 2009 and 2010. When he showed up at the polls in 2015 he was told his registration had been canceled. He claimed no recollection of receiving a confirmation notice from the state and he later brought suit along with two public interest groups called the Northeast Ohio Coalition for the Homeless and the A. Philip Randolph Institute. Compiled from reports at Dayton Daily News and USA Today on June 11, 2018, with excerpts from The Hill, WSJ and CNN. Reprinted here for educational purposes only. May not be reproduced on other websites without permission. 2. a) For what reason did the U.S. Supreme Court uphold Ohio’s voter registration law? b) How did Justice Alito explain the majority decision? Be specific. 3. Ohio, like most states, relies on change-of-address forms that citizens file with the U.S. Postal Service as evidence that a voter has changed residence as a principal method to keep rolls current. Why then do they need the supplemental process? 4. In his majority opinion, how did Justice Alito address the assertion that people would just throw away the postcard from the election board asking them to confirm their address? 5. a) In their dissents, what accusation did both Justice Sotomayor and Justice Breyer make? b) Read the explanation of Ohio’s voter registration law under “Background” below. Consider the reasoning behind Justice Alito writing for the majority and Justices Sotomayor and Bryer writing for the dissent. To disenfranchise is: to prevent (a person or group of people) from having the right to vote. What do you think? – Is the state of Ohio attempting to disenfranchise low income and/or minority voters, or is Ohio working to ensure only people eligible to vote in various districts are on the voter rolls? Explain your answer. CHALLENGE: In addition to sending postage paid return postcards and other mailings to voters, can you think of a way/ways for the Ohio election board to inform every voter about the six year rule to ensure that everyone knows about it? The Ohio law follows a procedure to determine if a voter has left the state. If a voter doesn’t cast a ballot during a two-year span, he or she receives a notice from the registered voter’s county board of elections to check if they still live there. If they don’t reply, they get a variety of mailings over the ensuing four years, such as request for absentee ballots, a change of address card, and a notice on polling sites. Ohio residents, check your voter status at the Ohio elections page: voterlookup.sos.state.oh.us (Residents of other states should also check your voting registration status by visiting your state’s Election webpage).